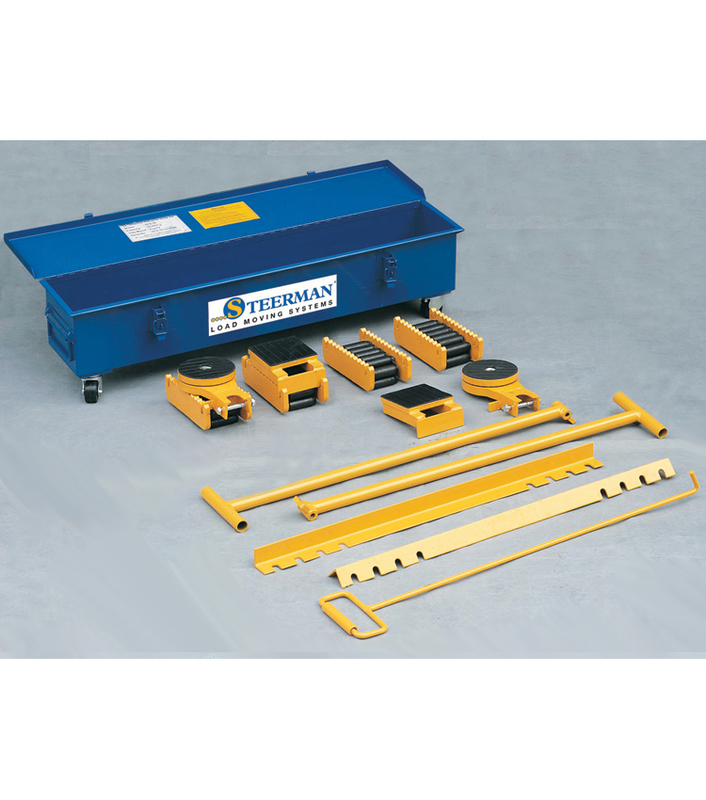 Steerman Caterpillar Skates provide an economic and robust solution to many load moving and placement problems. Carrying capacity of 20, 30 or 60 tonne. Modular concept allows linking of units. Robust lockable steel container with nylon castors. Low cost alternative for occasional use.